The first step in treating periodontal or gum disease is often periodontal therapy. This non-surgical gum treatment, also known as deep cleaning or scaling and root planing can work if you have moderate or severe gum disease. We use an instrument called a perioscope and dental lasers for this type of treatment. And because our hygienists are very well trained and gentle, our patients find the treatment very comfortable, without the discomfort that can result from surgical procedures. What is Non-Surgical Gum Treatment? Scaling and root planing all takes place below the gum line, where tooth brushes and floss can’t reach. As plaque and tartar form and attach to the root surface below the gum line, they cause inflammation that can break down and destroy the bone that supports your teeth. This, in turn, creates deeper pockets that encourage the growth of more harmful bacteria. The perioscope is a small high-tech camera that allows us to obtain a close-up view these inflamed pockets between your gums and teeth. The images show up on a monitor and allow us to see buried calculus that we could not view with dental loupes. Using microsurgical instruments and laser technology, we can reach deeper areas to remove calculus that has hardened and created inflamed gums. 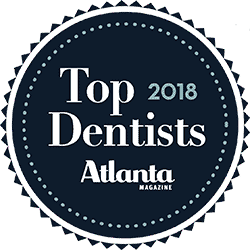 We use the perioscope and laser in a careful cleaning or series of cleanings of the root surfaces to remove plaque and calculus from deep periodontal pockets. This treatment is a very effective way to smooth the tooth root to remove bacterial toxins. And we will often follow up with other therapies, such as local delivery antimicrobials and host modulation as needed. Unlike traditional gum surgery, the use of the perioscope and lasers does not require incisions or the use of sutures. In addition, it can remove almost all inflammation in one session. The laser treatment destroys diseased tissue and bacteria while leaving healthy tissue intact. There is also less risk of gum recession. The technique also protects against bone loss by actually generating new bone growth. And finally, it allows a faster recovery for our patients. Most recover within 24 hours without the use of pain medication. How Effective is Non-Surgical Gum Treatment? Most periodontitis agree that after scaling and root planning, many patients do not require any further active treatment. However, the majority of patients will require ongoing maintenance therapy and enhanced home care to sustain good oral health. Therefore, we will recommend a course of maintenance therapy that is customized for you. Click here to learn more about the perioscope that makes non-surgical gum treatment possible. You’re welcome to call and request an examination, or you may request an appointment online. We’ll help you find the most convenient time for your visit.